© CNET With no engine under the hood, there's no need for a grille opening. 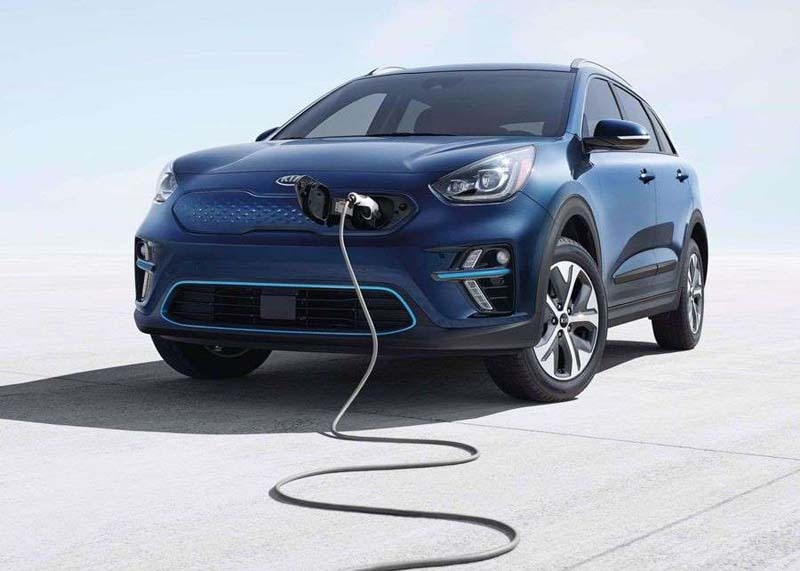 Kia is charging further into the electrification space with the introduction of the 2019 Niro EV, a battery-electric version of the Niro hatchback that's already offered in both traditional hybrid and plug-in hybrid variants. Of course, the Kia Niro EV isn't exactly new: We saw it earlier this year in Paris with an "E-Niro" badge, and we know that in South Korea it has a rated driving range of 236 miles. But today the US-market version of the Niro EV was formally introduced at the Los Angeles Auto Show. In our market the car will have an EPA-rated driving range of 239 miles per charge. That's quite good for the affordable-EV class, beating the Chevrolet Bolt EV's range by one mile. The Niro EV uses a 64-kilowatt-hour lithium-ion battery pack, with an electric drive motor good for 201 horsepower and 291 pound-feet of torque. Those are the same powertrain specs as the Hyundai Kona Electric, which boasts a slightly higher EPA rating of 258 miles per charge. 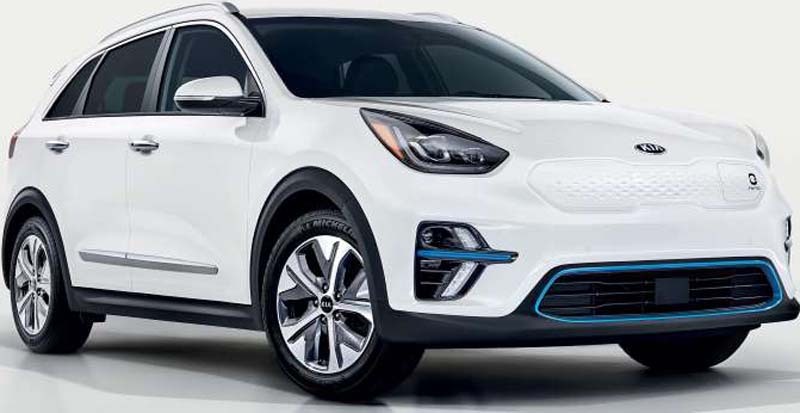 Visually, the 2019 Kia Niro EV stands out from its other variants thanks to its grille-less nose and abundant "EcoDynamics Blue" accent pieces. Kia also says that the car's rockers, 17-inch wheels and fascias were restyled to reduce aerodynamic drag and thus boost range. Inside, the Niro EV will have blue accents for its seats, too. As is required by law, the Niro EV also produces artificial sounds at low speeds to help alert pedestrians and other drivers to its presence. As Kia said in a press release, the car, "makes a fantastic techy whirring noise when moving that evokes speedy sci-fi craft … so everyone knows it's coming." When the 2019 Kia Niro EV goes on sale in early 2019, it'll be offered in EX and EX Premium trim levels. Standard equipment on the EX will include three USB ports and a 7-inch infotainment system with Apple CarPlay and Android Auto support, while the EX Premium will tout things like an 8-inch touchscreen, LED headlights, a heated steering wheel and ambient interior lighting. Kia says that pricing for the new electric hatchback will be announced closer to the Niro EV's on-sale date next year. 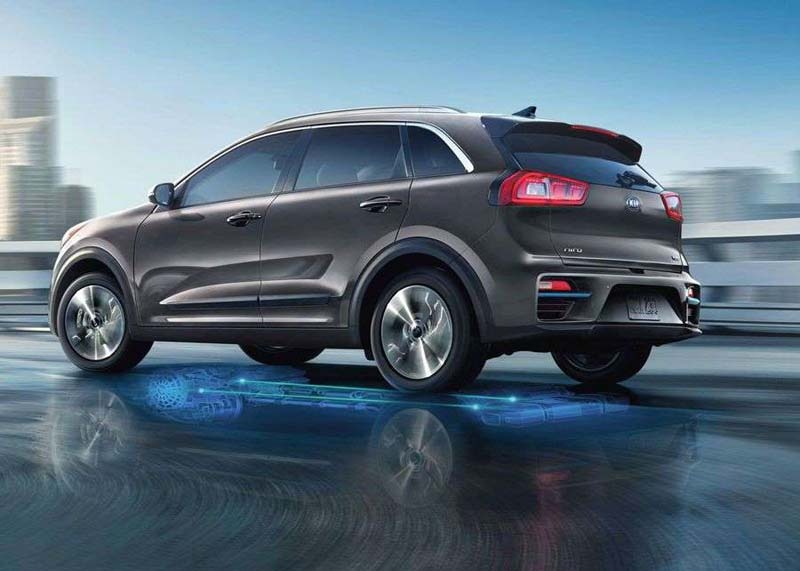 The Niro EV's electric drive motor puts out 201 horsepower and 291 pound-feet of torque. 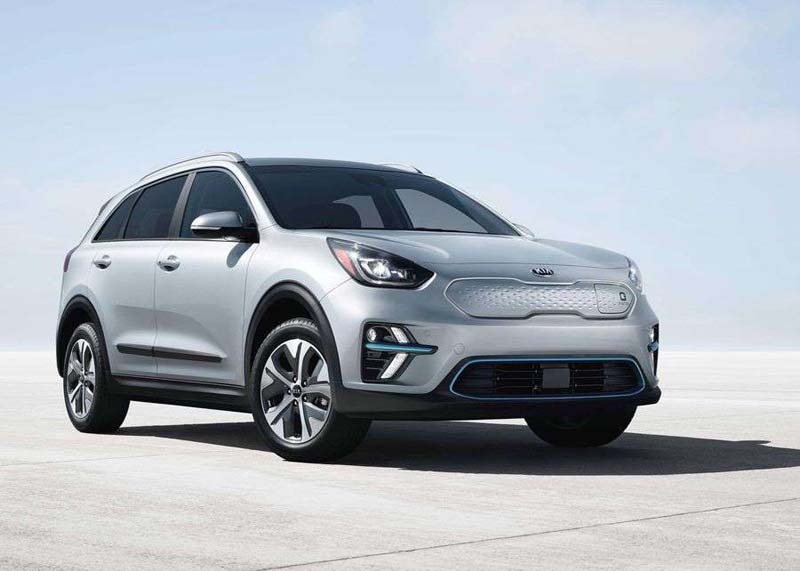 Kia has finally introduced the US version of the Niro EV at the Los Angeles Auto Show.